I have Lust Have It's November Womens Box to show you today and I'm pleased to say Lust Have It really upped their game for this one! My box was shipped on the 25th of November and arrived on the 3rd of December (previous boxes have arrived around the middle or toward the end of the following month). There's a good selection of products in here too. I haven't yet given this a try as I am rather bogged down with skincare at the moment, but it certainly sounds nice! Ultra thin and regular, after two kids? Hahahahahaha. But a nice thought. In the September box there were supposed to be six bags of this tea but instead there was only one. In October they included a note on the card apologising and saying they were including the other five, but again, only one sachet arrived. Finally the remaining sachets arrived in this box, but what a lot of mucking around! That being said, I haven't tried them as I'm really not a tea person but may pass them onto my sister. First up we have my favourite from the November box - the Ulta3 Cream Blush Stick, which I received in the shade Pretty Pink. I've only tried a handful of Ulta3 products so far, yet they've consistently blown me away with the stellar quality, especially when they have such low prices! If you recall, their Volume & Length mascara was included in the August 2015 box and has been a fixture in my makeup bag since. 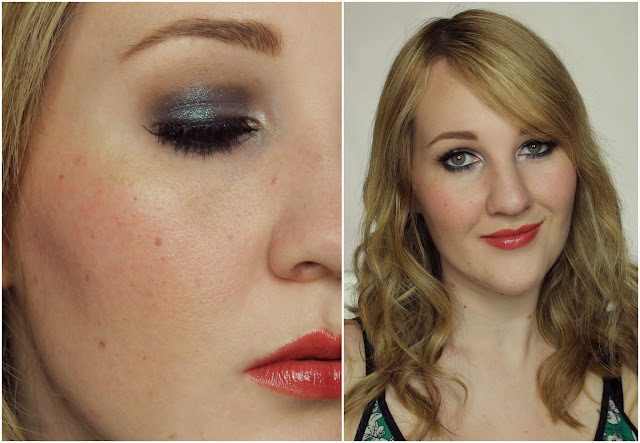 This blush stick has nice, buildable colour pay off and blends out really easily. The texture is pretty similar to The Body Shop's Lip & Cheek Velvet Sticks, they have that same velvety silica feel for a fraction of the cost but offering more product ($6.95AUD/5.8g vs $32NZD/4g). I'm curious to see whether the Blush Stick will work on lips now. I'll have to report back! 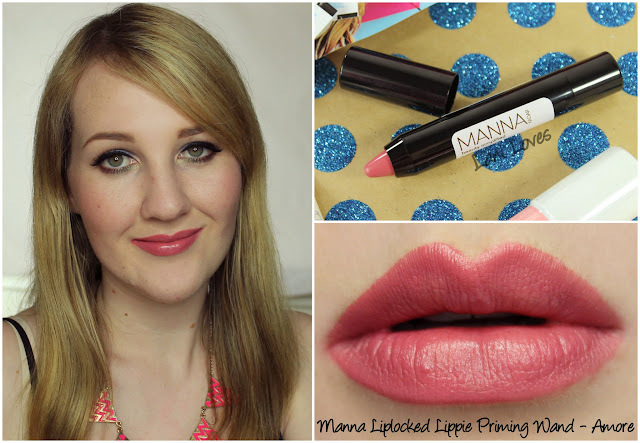 Next is the Manna Kadar Liplocked Lippie Priming Wand, simply called 'Lip Chubbie' on the Lust Have It information card. I'd never heard of Manna Kadar before so had a wee poke around her website and can't find this product any more, so perhaps it's been discontinued? Lust Have It also mention this product being available for purchase on their website but I can't find it there either, all very puzzling! Anyway, despite the lengthy name, this is a regular chubby stick type lipstick with super creamy and opaque colour pay off. I was impressed at how lovely it felt going on but wasn't a fan of the scent; it smells like those old roller ball lip glosses from the nineties. 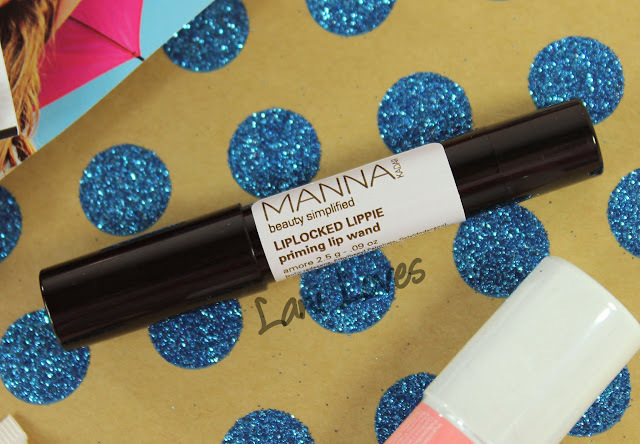 Another lip product, yay! 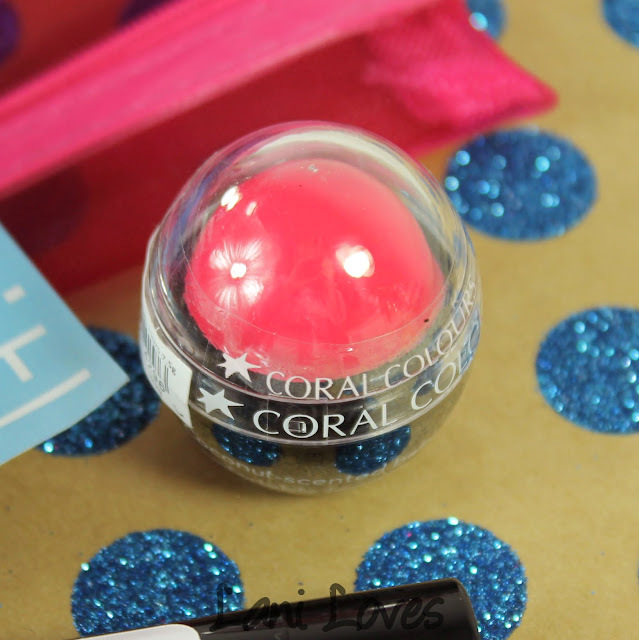 I'm not sure whether the Coral Colour Love Lips sphere is supposed to be a tinted lip balm or a lipstick, but whatever it is, I like it. I thought the rounded shape might make it difficult to apply neatly but it was actually really easy! It feels nice to apply too and is quite hydrating. 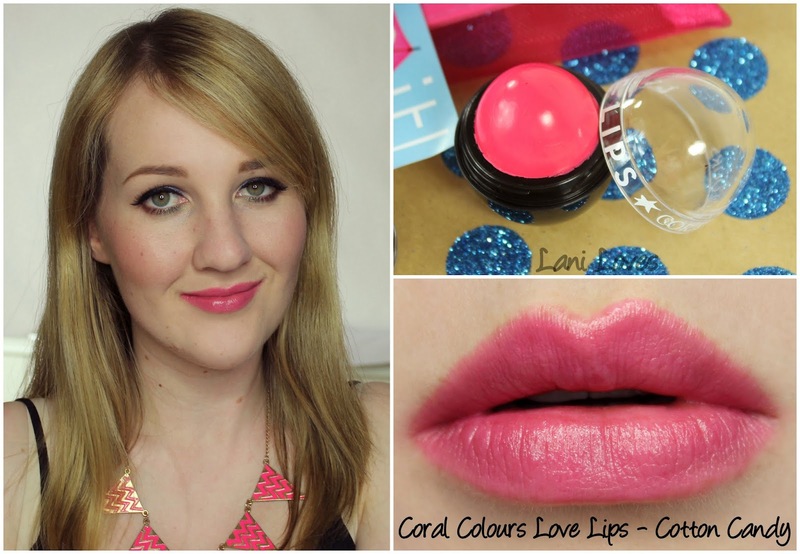 I think the last time I tried a Coral Colours product was sometime in the nineties so it's nice to get reacquainted. I don't have much to say about this little concealer sample from Evelyn Iona as unfortunately it isn't the right colour for me! There are five shades available, according to the Evelyn Iona website, and Flawless, the colour I received is described as being 'for medium skin with beige undertones'. A randomly selected concealer (or foundation) shade seems like such a waste of time and product and frankly it baffles me that subscription services do this. Surely it wouldn't take much effort to ask customers to select a skin tone option when they sign up, or through a profile page? I know there are other subscriptions that allow you to do this, or mention colours you dislike and so forth to tailor the chosen products to you a little more. With a one in five chance of receiving the correct shade for your skin tone, I'm sure there are many subscribers now having to pass on this particular product instead of trying it out.